Ep. 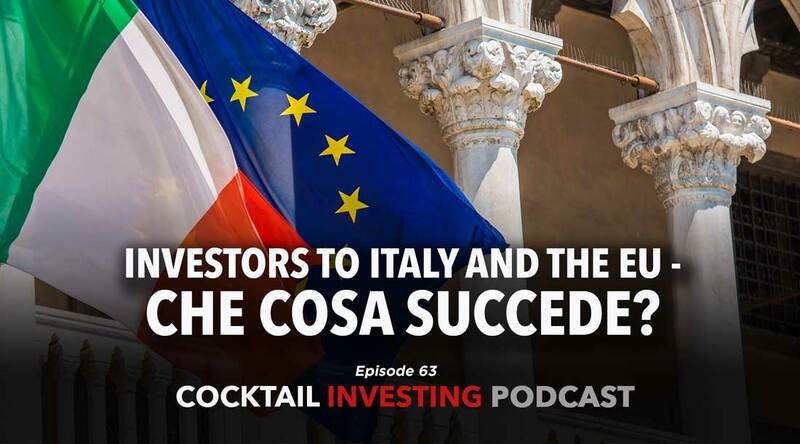 63: Investors to Italy and the EU - Che cosa succede? Home / Ep. 63: Investors to Italy and the EU – Che cosa succede? Ep. 63: Investors to Italy and the EU – Che cosa succede? The mainstream media is focusing on the newly formed government in Italy, the Eurozone’s third-largest economy. The reason centers on the new regime’s plan to boost fiscal spending while cutting taxes at a time when Italy’s debt to GDP is 130% and the economy is one of the slower in the Eurozone. Investors are hearing this and thinking Greece on steroids. In this week’s podcast, team Tematica leverages the boots on the ground view had by Chief Macro Strategist Lenore Hawkins, who over the last six years has spent the bulk of her time in Italy. This insight offers a unique perspective on not only how the new government came to power and why Italy is having a difficult time getting its economy to catch fire, but also why the long view is it simply isn’t going to end well. Several keywords from this episode are “ripple effects and ramifications” and when applied to the developing situation in Italy, it means implications for the Eurozone, the euro, the US stock market, the dollar and Treasuries.